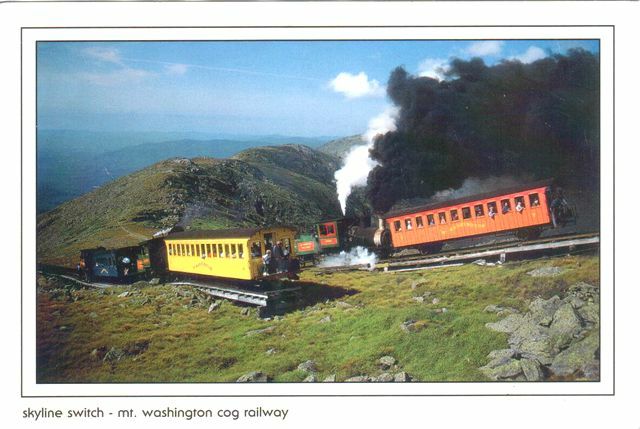 The Mount Washington Cog Railway is the world's first mountain-climbing cog railway (rack-and-pinion railway). The railway is still in operation, climbing Mount Washington in New Hampshire, USA. It uses a Marsh rack system and one or two steam locomotives and five biodiesel powered locomotives to carry tourists to the top of the mountain. Its track is built to 4 ft 8 in (1,422 mm) gauge, which is technically a narrow gauge, as it is a 1⁄2-inch less than 4 ft 8 1⁄2 in (1,435 mm) standard gauge.